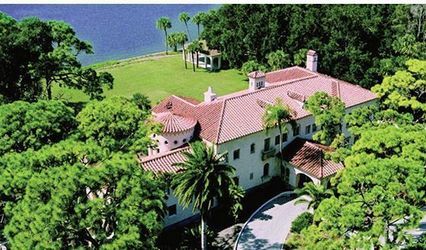 L+M Private Estate is a family-owned outdoor wedding venue in Brooksville, Florida. 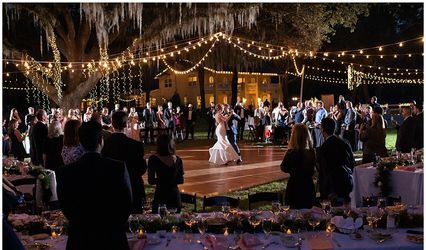 Located in a farming community, the area is full of wide open spaces and natural oak canopy, making it a great location for creative couples who want to make their wedding their own. 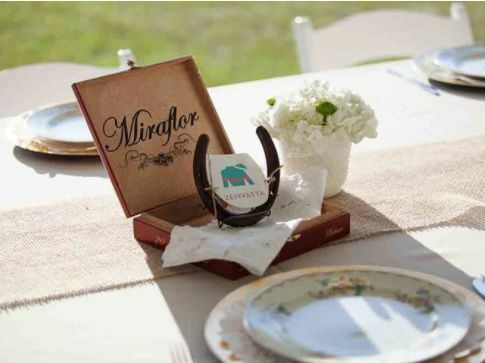 Whether your style is vintage, modern, sophisticated or outdoorsy, you can personalize the open spaces to create the wedding you’ve always dreamed of. L+M Private Estate is a 25-acre hayfield located in a farming community. 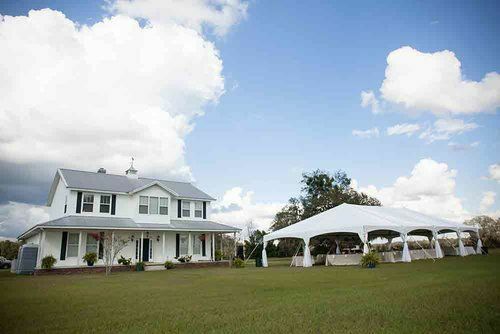 Three acres are solely dedicated to weddings and other events. 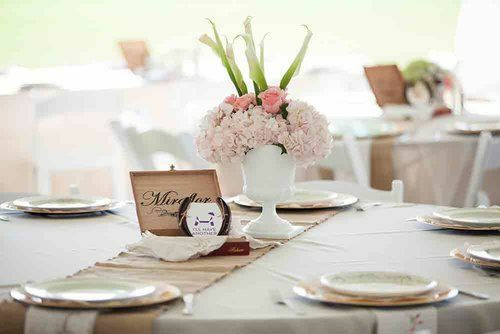 The owners recognize that many people wish to have their wedding in a barn. 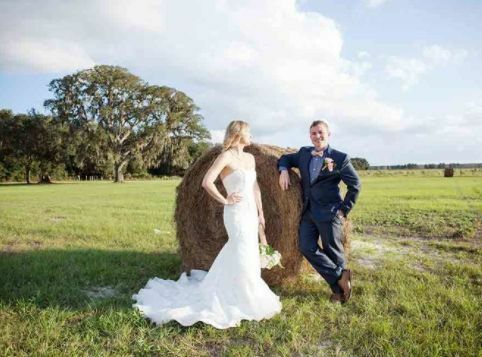 There is a barn at this property; however, they encourage you to think beyond that and come up with creative, personalized ideas for your outdoor wedding. 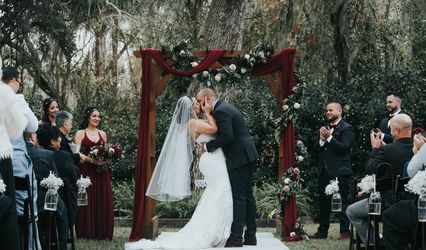 This farm location is ideal for rustic, country, vintage and Southern charm themed weddings, though the space works well for many themes because you can put your own creative touch on it. This event space is outdoors. 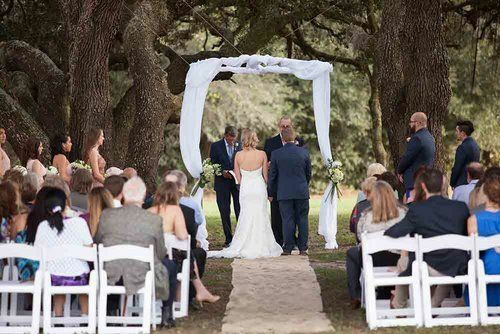 Packages include a ceremony site under the oak tree canopy with an altar and tents with lighting. The space requires a minimum of 20 and has a maximum capacity of 175. The owners of the property have maintained the natural beauty, so it’s a largely open space waiting for your creativity, style and vision. The natural oak canopy acts as a backdrop for your wedding. Wedding packages include various tent and dance floor options based on your desires and the size of your wedding. Packages also include portable restrooms, a parking area and a smoking area. When you book the space, it is yours for the entire day of your wedding. The venue also offers cash bar services. These services include a bartender, signature drinks and champagne toast. Outside alcohol is also permitted. Additionally, catering is not offered and outside vendors are allowed. I cannot think of a better place to get married! I wanted a rustic, ranch feel without having it in a barn-this was perfect! It was beautiful and guests were complimenting me for months afterwards. Such a wonderful experience as well! Very easy and accommodating during the entire process. Could not be more happy with how it all turned out!